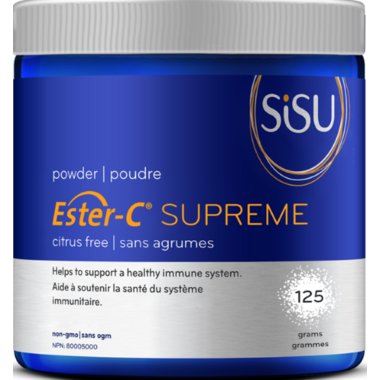 SISU Ester-C Supreme Powder helps to support a healthy immune system. For the maintenance of good health. Dosage: (Adult) Take 1/2 teaspoons per day or as directed by a health care practitioner.